SOMERS, Wis. (WLS) -- A kangaroo managed to escape its enclosure in Kenosha County Thursday morning and began wandering the streets, the Kenosha County Sheriff's Department said. 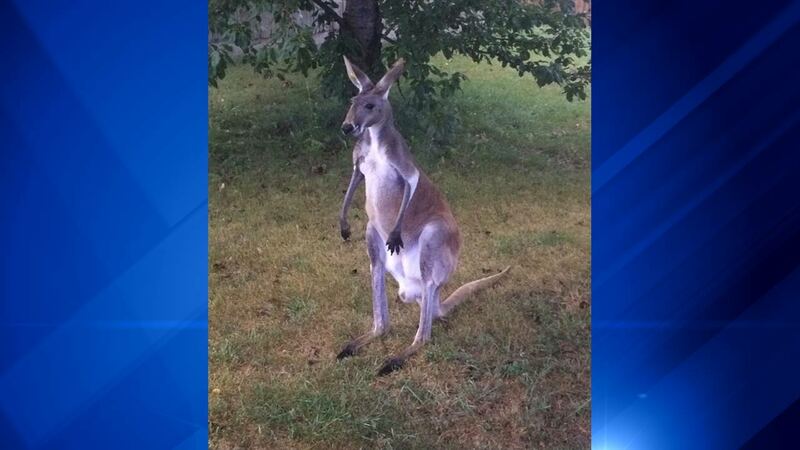 The sheriff's department responded to the reports of a loose kangaroo in Somers, Wis. at about 7:14 a.m. The kangaroo escaped its confine at Jerry Smith's Farm at 7150 18th Street (Highway L) by possibly kicking the confine's gate, the sheriff's department said. The kangaroo then proceeded to wander west on 18th Street. After Jerry Smith's Farm was contacted, the five-year-old kangaroo was safely returned without injury to anyone.